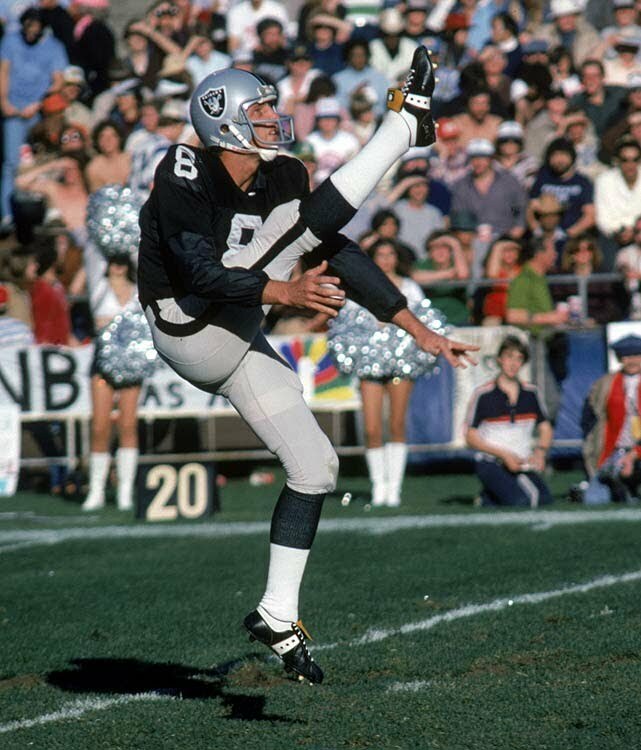 From his extraordinary high school accomplishments to the Pro Football Hall of Fame and NFL’s All-Time Team, Ray Guy’s unparalleled career has provided him an unlimited resource of experiences that will encourage and inspire. At every level of competition, Ray developed his God-given ability through his work ethic, passion for the game and devotion to his team. Beginning in a small town in southeastern Georgia, Ray did more than pave a career — he pioneered one. Drafted right out of high school to play professional baseball, Ray chose to continue on his football career path at the University of Southern Mississippi. That decision led him to become the first punter in the history of college football to be inducted in to the College Football Hall of Fame. In 1973, Oakland Raider head coach John Madden and his staff made a unanimous and historical decision. They chose to make Ray the first punter ever selected in the first round of the NFL Draft. Ray never missed a game in his 14-year career. No one in the history of football has ever punted a ball as consistently high and as consistently well. When Ray launched his booming kicks, they often hung in the air for so long that the NFL invented a new statistic known as “hang time” to measure them. Most importantly, Ray elevated his team. He constantly sacrificed his punting average for hang time and placement so his team could win the battle of field position. Invariably the Raiders won three Super Bowls during his career. In 1992, Ray was accorded the honor of becoming the first pure punter to be nominated for the NFL Hall of Fame. Ray can take any listener down the path that led to his success. To this day he travels the U.S., sharing his experiences with thousands of athletes and teaching them how to kick and punt footballs at the Ray Guy Kicking Academy. He is constantly engaging with media through talk shows, interviews and public appearances. You can see him each December during ESPN’s nationally televised college award show personally presenting the award given to the best punter in college football — the Ray Guy Award. Drafted by Cincinnati Reds (twice), Kansas City Royals and Atlanta Braves.